July 31 to August 12 to allow the replacement of an historic bridge over Killingworth Road in Gosforth. This was said to be the first time an entire bridge has been replaced on Metro’s infrastructure. The bridge dates back to the opening of the line by the Blyth & Tyne Railway in 1864 and features a distinctive original cast-iron parapet on the north side – the one on the south side being replaced after being damaged in a collision between an EMU and coal train in 1923. 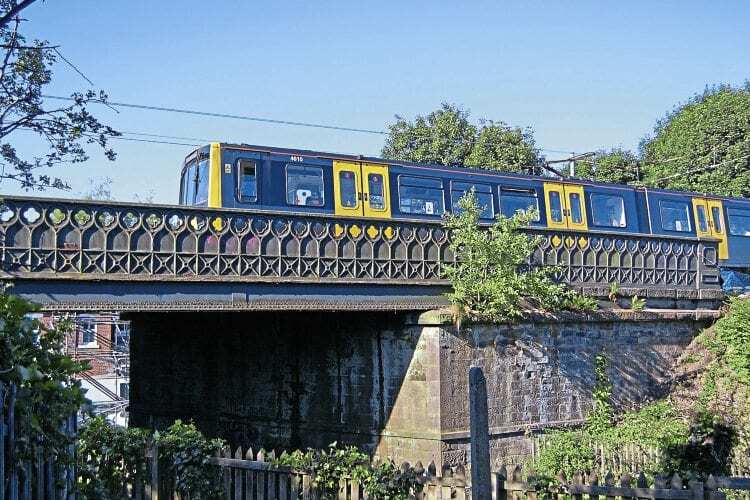 The £5.5million replacement scheme saw the original parapet removed on July 31 to be donated to the Stephenson Railway Museum in North Tyneside. 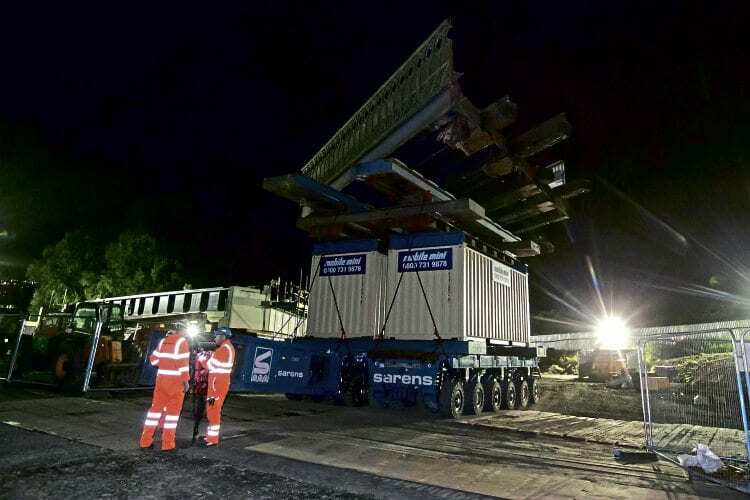 The bridge deck was then removed in the early hours of August 1 and wheeled away by a specialist rig to a nearby compound before the old concrete abutments were demolished. Reconstruction began with new abutments before a new deck was rolled into place. The line closure was then extended further from Four Lane Ends to Shiremoor until September 3 for track replacement work as part of the network’s overall £350m modernisation programme, which has been running since 2010.